NPD's latest games data has underlined just how dominant the Xbox is in the US, with Microsoft's console capturing 40 per cent all consumer spending from physical sales in 2011. Although the figures do not include the increasingly prominent digital sales or downloadable content, people buying physical discs remains dominant, and it is clear that Microsoft's dominance is not on the wane. NPD's physical sales figures do include peripherals (such as Kinect) as well as the console itself and the total it comes to is a not inconsiderable $6.7 billion (£4.37bn) – with games accounting for $4.6 billion of that. That's an impressive slice of the total US gaming pie of around $17 billion (£11bn) – which has declined eight per cent from last year's total. NPD has confessed that it needs 'deeper visibility' on digital distribution considering the massive rise in both PC digital game purchases and on-console purchases. The global figures would see Sony and Nintendo haul themselves back into greater parity – with the both Japanese consoles strong performers in their home territories and the split less pronounced in Europe. Considering Microsoft is the newest of the three powerhouses to have got involved in the console world, it's certainly impressive for the Redmond-based company. 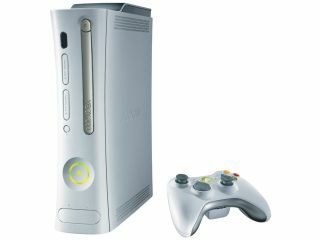 But 2012 is shaping up to be a pivotal year, with Sony launching the PS Vita, Nintendo the Wii U and much talk of Microsoft announcing the new Xbox at E3.